December 2015 | New Creation Inc.
For Autumn/Winter 2015 we are seeing a ton of stormy colors and abstract prints on the runway. 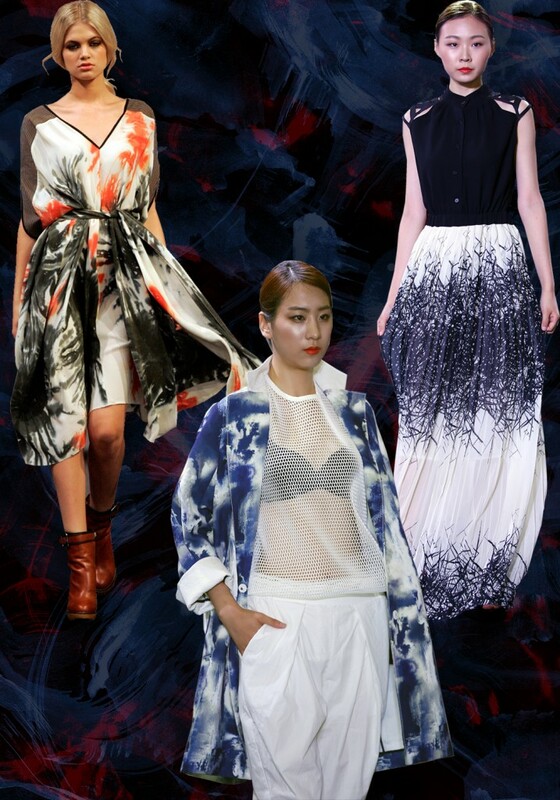 We love the dark undertones and movement created in these weather inspired prints. If you love following trends and learning about fashion, contact us today and we will help your apparel business grow. David Jones AW13 Fashion Launch by Eva Rinaldi via Flickr. Shared via the SA CC 2.0 License. background has been cut out. Korea_Fashion_KODE_2014_26 by Republic of Korea via Flickr. Shared via the SA CC 2.0 License. Background of image has been cut out. Korea_Fashion_KODE_2014_18 by Republic of Korea via Flickr. Shared via the SA CC 2.0 License. Background of image has been cut out. New Creation Sourcing Inc. owns no copyright to these images.